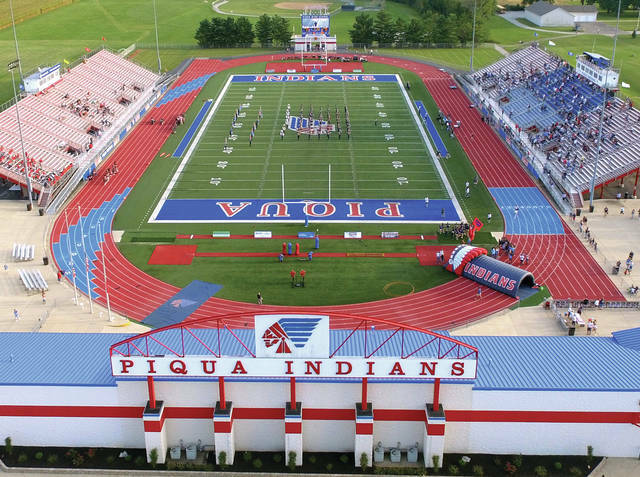 The Piqua High School Marching Band, the Pride of Piqua, performs during pre-game of the Indians home opener at Alexander Stadium/Purk Field on Friday. 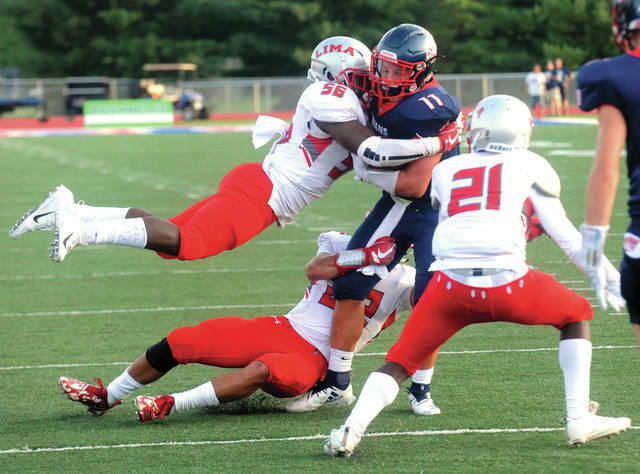 A trio of Lima Senior defenders work to bring down Piqua quarterback Micah Karn, 11. 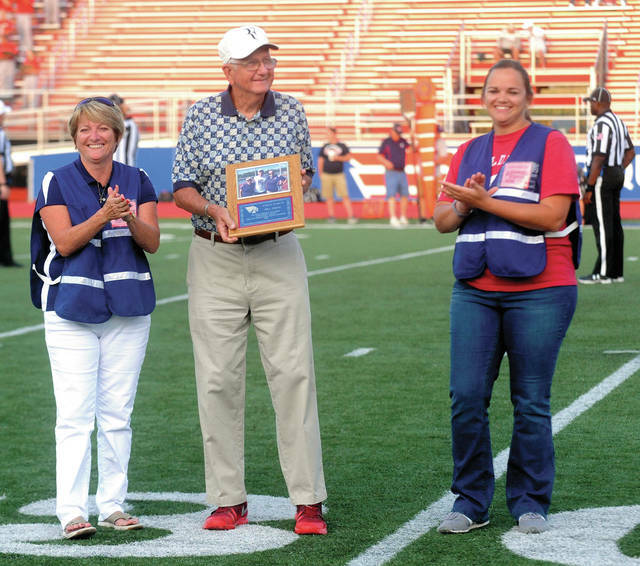 Piqua tennis coaches Bonnie Davis, left, and Kyla Starrett, right, present a plaque to Bill Adkins recognizing his support of the PHS tennis program and his donation of a new tennis office building. 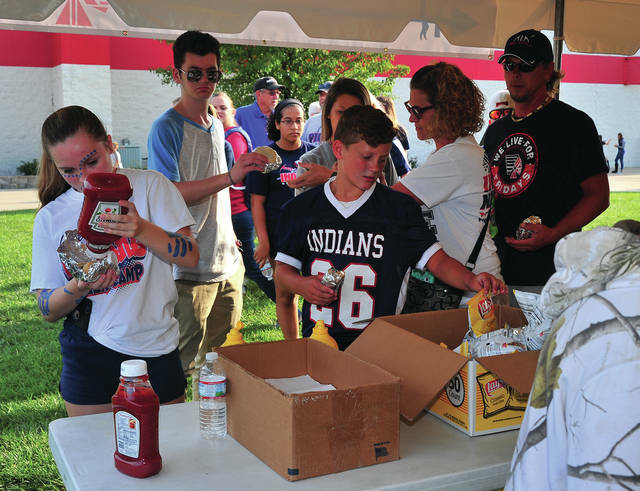 Piqua fans line up to for hot dogs and hamburgers during Friday’s annual Piqua Athletic Boosters cookout and tailgate party outside Alexander Stadium on Friday. 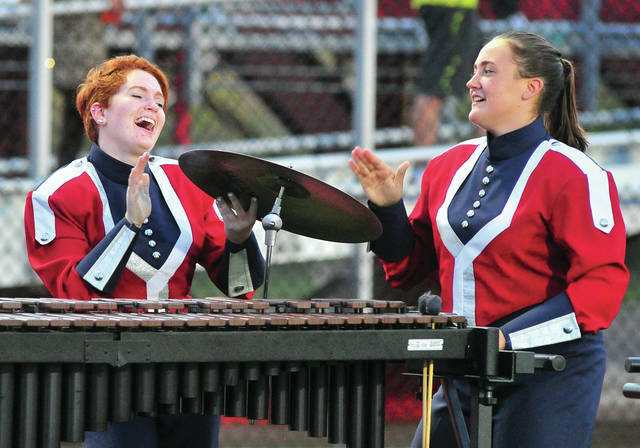 Their smiles are a “cymbal” that they are enjoying themselves as a pair of Pride of Piqua band mambers celebrate an Indians touchdown. 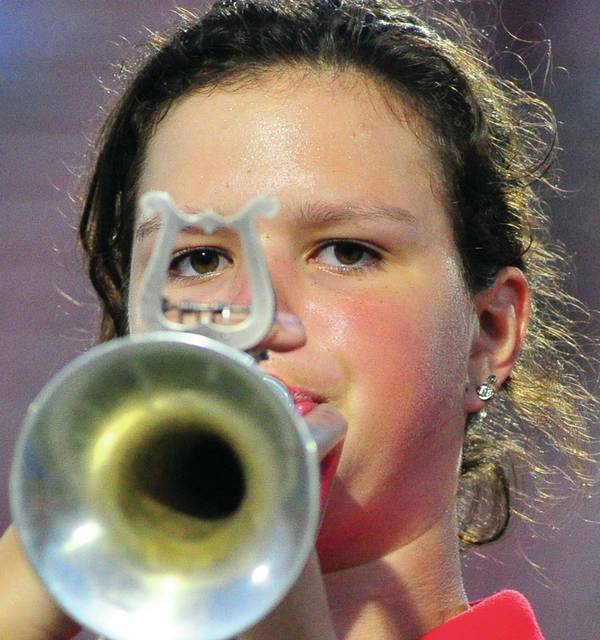 A Lima Senior trumpet player keeps her eye on her music as she marches at half-time on Friday. 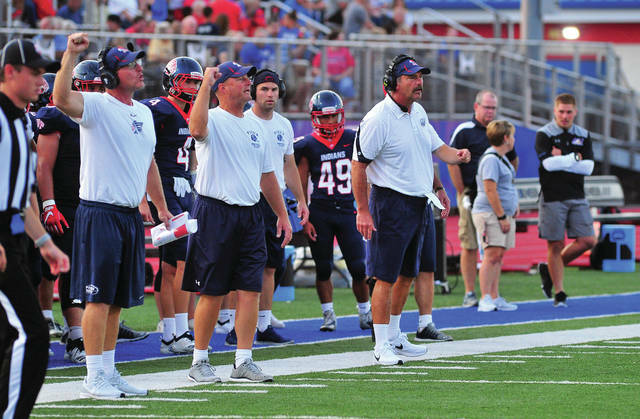 Piqua coaching staff members Troy Ouhl, Deron Johns, and Head Coach Bil Nees, l-r, direct their team from the sidelines. 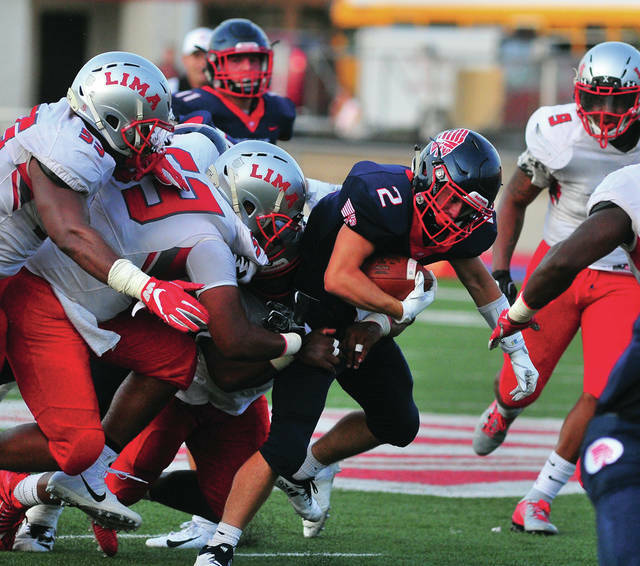 Running back Colin Roe, 2, fights for yardage with a host of Lima Senior players being dragged behind him.